The True Definition of ButtHurt: Fake News Networks Refuse to Run Donald Trump’s 100 Day Victory Celebration Ad. Trumps 10 second spot features America Coming FIRST – As Trump Promised. 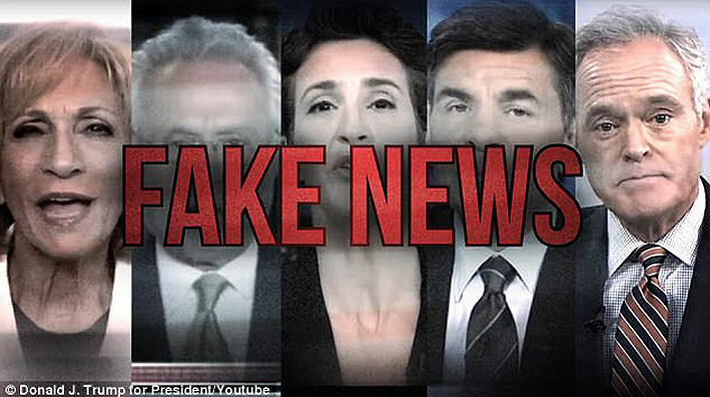 It also features ButtHurt Liberal Media Anchors from ABC CBS NBC MSNBC and “Fake News Creator” CNN. ButtHurt liberal media refuses Trump $1.5 Million 30 second campaign ad labeling them as fake news. It’s the Trump campaign’s first commercial since winning the White House, and although it is three years out from the next election, it declares the nation has ‘rarely seen such success’. Trumps ad blasts the ‘fake news’ media for failing to see things the American way. And includes CNN’s Wolf Blitzer, Also included are MSNBC’s Rachel Maddow and Andrea Mitchell, CBS’s Scott Pelley and ABC’s George Stephanopoulos in its rogues gallery. Absent from President Donald Trump’s banner of shame is CNN’s Don Lemon, who is notably worthy of mentioning in our article. What a Putz! Presidential daughter-in-law Lara Trump, a consultant to the campaign organization said. Apparently, the mainstream media are champions of the First Amendment only when it serves their own political views. Faced with an ad that doesn’t fit their biased narrative, CNN, ABC, CBS, NBC have chosen to block our ad. This is an unprecedented act of censorship in America that should concern every freedom-loving citizen. Mark Dice adds his two cents worth below. As a highly successful millionaire once said. Never get mad at your money!